This very useful tilt adapter is solid, all-metal - no plastic, no aluminum parts. 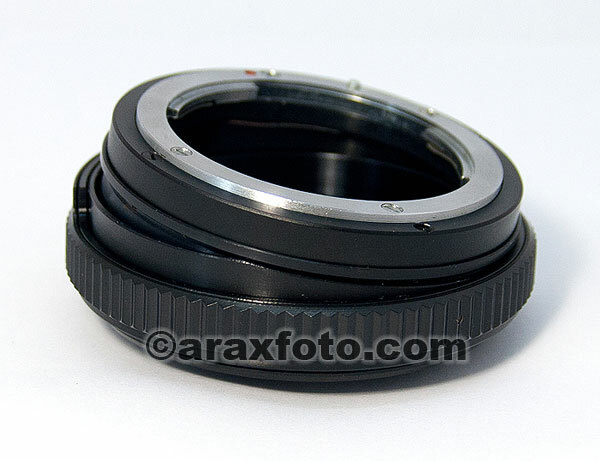 Allows you use any Nikon lenses on Micro 4/3 or Sony E-mount (NEX) camera body. Moreover, it gives the 1-8 degree tilting possibility of lens and 360 degree rotation. 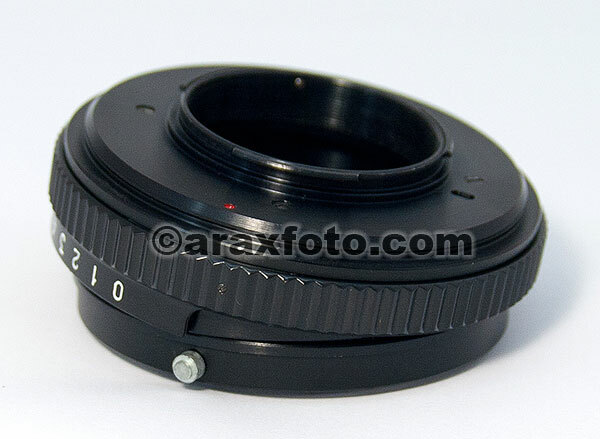 The lens which you can use with this adapter should have Nikon mount. Can be adjusted from 1 to 8 degrees of tilt. Ideal for architectural photography when controlling perspective. Great for product photography to control depth of field for more appealing shots. Although the lens will fit physically, automatic diaphragm, auto-focusing, or any other functions will not operate correctly while using this adapter. "Stop-down mode" will need to be used when metering since the lens does not have the ability to have its aperture controlled by the camera body. You can shoot with manual mode or aperture priority mode. Allows to focus on infinity and has no lens element so it does not effect optical performance. Constructed from high quality brass metal. No plastic or aluminium details. Designed and made in Kiev (Ukraine) by ARAX, brand new and have not any defect including backlash and correct focussing. Please note: It can not fit to cameras with not enough space around the lens. Please check the dimensions before purchasing.